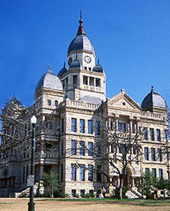 The Denton Texas Law Office of Gary A. Kollmeier has been dedicated to providing competent and caring legal services in the areas of Family and Probate law since 1991. The firm provides comprehensive, superior, and respectful advocacy in an environment in which the clients receive full attention and loyalty with the highest level of personal legal services. It is our focus to educate our clients about the reality of what to expect in every aspect of their legal case. As a lawyer, Gary Kollmeier is committed to high standards, as evidenced by his certification as a Family Law Specialist by the Texas Board of Legal Specialization and his training as a Mediator and Collaborative Lawyer. This extensive experience allows for better service to family law clients who may be going through the difficult and emotional process of separation, divorce, and child-custody determination. The firm also provides probate and estate planning services. From the consultation forward, it is our mission to help the client conceive, develop and implement a winning strategy geared to achieve the client's goals with the focus on developing creative solutions to each client's complex and unique problems. It is always our priority to advocate for our clients' best interest and the best interest of their family. Gary Kollmeier understands that the client needs clear communication with straight forward answers and guidance. Knowledge is the first step in making the right decision about what course of action to take in your situation. Whether you need an experienced and knowledgeable family law attorney to represent you and protect your interests in a contested case, or you seek a qualified neutral mediator to solve unresolved outstanding issues related to your family law or probate related to your family law case, we can help. When it comes to divorce, child custody, and any family law or probate related matter, Gary Kollmeier is committed to providing high quality legal client focused representation delivered in a compassionate, professional and ethical manner. Collaborative Law provides a structured and cooperative approach to problem solving allowing those in dispute to work together toward resolution in a focused setting. Parties can resolve disputes without stepping into a courtroom. Mediation is a process that allows the parties to control the settlement of their issues, saving time and offering creative solutions, protecting confidentiality and privacy, preserving relationships and avoiding negative legal outcomes. Disputes may require the option of resorting to the courts for their power to make final decisions. In any event, going to trial should be the last resort. The Law Office of Gary Kollmeier can assist a client if this ultimate measure is required. As a legal professional, Gary Kollmeier has been actively involved with the local, county, and state legal communities. 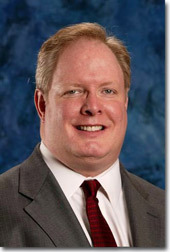 He was been elected president of both the Denton County Bar Association and the Family Law Section of the Denton Bar. In addition, Gary has fulfilled all requirements necessary to be a member of the Texas Academy of Family Law Specialists, the Denton County Collaborative Family Law Professionals Practice Group, the Collaborative Law Institute of Texas, the Denton County Real Estate and Probate Section, the Denton County Trial Lawyers Section, The State Bar of Texas, The College of the State Bar of Texas, and other professional affiliations. Gary has served on many local public service boards including the Denton County Law Library Board, as well as being a regular volunteer mediator for the Denton County Alternate Dispute Resolution Program. Gary has also served as a Alternate Municipal Judge of the City Lewisville Municipal Court since 2000. Officed in Denton Texas, the family law attorneys of the Gary Kollmeier Law Firm serve clients from Denton, Lewisville, Flower Mound, Highland Village, Corinth, Copper Canyon, Carrollton, Frisco, The Colony, Argyle, Bartonville, Roanoke, Trophy Club, Northlake, Sanger, Pilot Point, Oak Point, Little Elm, Providence, Savannah, Oak Point, Little Elm, and Denton County, TX.